Quinta da Floresta at Santo Antonio is situated in an enviable location overlooking a manicured golf course and acres of pristine Algarve countryside. All of the accommodation has been built to the highest standards and is designed with luxury in mind. Accommodation comprises large family villas with swimming pools, linked villas and luxury apartments, all impeccably furnished and each containing everything you could possibly require during your stay. All properties have satellite TV with free view channels (English & Portuguese), DVD, fully equipped kitchens with microwave, dishwasher, fridge/freezer, hob, oven and washing machine. Please note: Images shown are a sample selection only. Villas will be allocated upon arrival. Extra bed - €15-35 per night depending on season - please ask. 50% discount for children under 12. Half Board (Breakfast, Lunch OR Dinner) - €25/day (Children under 12 years, 50% discount, children under 2 - free of charge). Full Board (Breakfast, Lunch and Dinner) - €42/day (Children under 12 years, 50% discount, children under 2 - free of charge). At Golfe Santo António Resorts there is a wide choice of excellent bars and restaurants, to appeal to every taste. Santo Antonio's clubhouse serves bar snacks, light meals and hot and cold beverages and is the perfect watering hole after 18 holes of golf. Overlooking the back nine holes of Santo Antonio's magnificent golf course, this restaurant serves international cuisine combined with traditional local ingredients. A poolside restaurant with Mediterranean flair. The menu includes grilled food, snacks and sumptuous salads. Only opens in the Summer. Offering a choice of traditional Italian dishes, including homemade pizzas, fresh pastas with special signature sauces and mouth-watering Italian desserts. A takeaway service is also available from this restaurant. Opens from March to October. Santo Antonio Resort boasts first-class tennis facilities in combination with a wide choice of holiday accommodation to create the perfect tennis holiday in the Algarve, Portugal. Bespoke tennis courses, lessons and holidays. Tailored tennis courses lead by our LTA professional. Residential Algarve tennis courses with unlimited tennis for individuals are offered for couples and families. The 10-hour tennis course from LTA professional, run over five days, concentrates on improving both your tennis skills and general physical fitness. The emphasis is on developing a relaxed and effortless tennis technique which improves both winning potential and enjoyment of the game. There are also tailored tennis lessons for juniors and beginners. A vast array of kids' activities to choose from, with children's clubs providing a safe environment for your children to have fun. Experienced and friendly staff can organise a programme of fun-filled activities to keep your children amused and happy throughout their holiday. All of our children's clubs are very popular with families on holiday and we strongly recommend that you reserve in advance to guarantee your child's place. All children's activities are subject to advance reservation (24h) and to a minimunm attendance of 3 children. Activities including volleyball, football, cricket, rounders, table tennis, pool, darts, and chess. A baby sitting service is also available. Daily activities with experienced staff include: mask making, face painting, colouring, Stories and games, arts and crafts, pony trekking, tennis and swimming. 15€ per session, either 9am - midday or 2pm - 6pm. On the fringes of The Costa Vicentina Nature Reserve, in a beautiful setting at the heart of Quinta da Floresta, lies Spa Santo António. The combination of space, peace and pure luxury creates the ideal relaxing environment for an indulgent Spa holiday or Spa break in the Algarve during which you can spoil yourself with a variety of massages and beauty treatments. Similarly, the Spa Santo António can ease your aching limbs after a hard day's golfing at Quinta da Floresta, or a work-out at our gym. Professional Spa treatments and alternative therapies. Quinta da Floresta in the Western Algarve offers all-weather bowling facilities and a friendly bowling clubhouse. 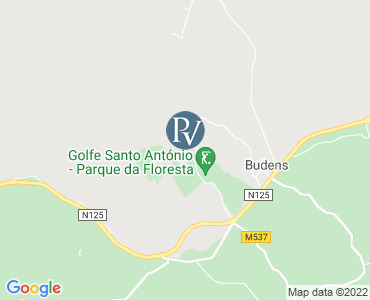 Situated in the valley at Quinta da Floresta Resort lies the Parque Bowling Green and friendly Clubhouse. The bowling club is open daily, Monday to Saturday from 9h30am for general play or 'Have a Go' bowling sessions. Everybody is welcome. 8 rink all-weather, artificial greengage bowling green. Bowling shoes and woods for hire. Coaching and bowling lessons available (special season ticket, rates available for periods of one week to one year). Bowling clubhouse with home cooked light snacks and beverages. Open bowls competitions throughout the year (Mondays and Fridays). Tailored Algarve bowling holidays and bowling breaks. Bespoke Bowling holidays available. Caters for bowling parties of all sizes. All prices are per NIGHT for the accommodation only. Check-in is from 16:00pm on your arrival day. Check-out is by 10:00am on your departure day. Please note that availability shown is subject to confirmation - please call our reservations team.